The location was excellent Camden is the best part of London. It was so close to the underground, restaurants, grocery store and shopping. The bedding was excellent. It was perfect place for our family of four. When I come back I will try to stay again! The location of the apartment was really great and it was easy to commute by bus and train. Was strange that we had to pay 20£fine for 10 min.late. 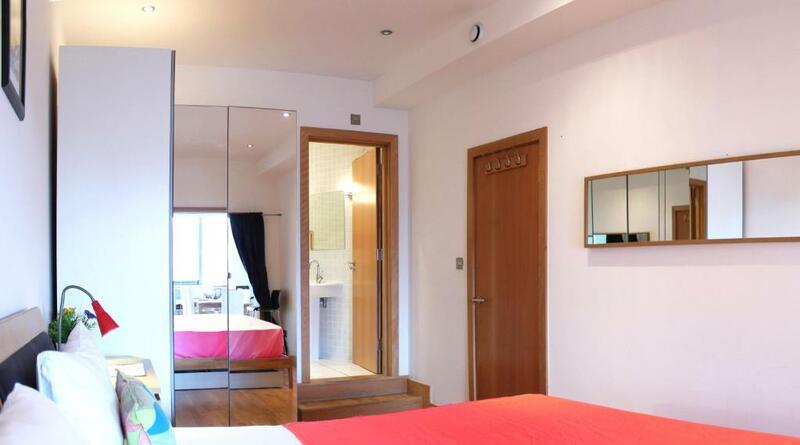 Great central location within Camden, just around the corner from Camden Station and a 5 minute walk to Camden Lock. Great room with great facilities and extremely comfortable bed. which had two single duvets which was great as me and a friend were sharing a bed. Fantastic value for money! The kitchen and bath are very nicely upgraded. The flat interior is super bright and in a great location on a main street (we were not fussed by the street and traffic noise). There are giant windows that allowed for an abundance of sunlight and fresh air. 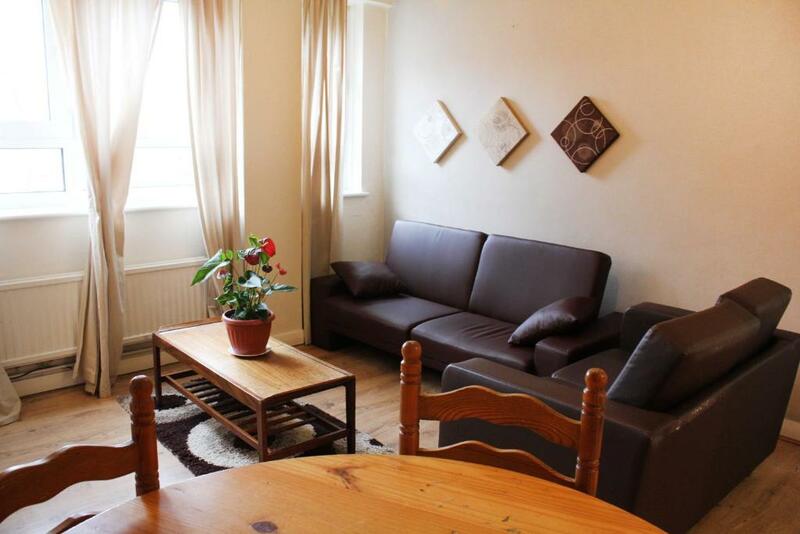 The location is great for it’s access to public transport (Northern Line and buses), and it’s located in the heart of Camden’s vibrant nightlife. Lots of extra linens. Location of apartment was close to tube station and was in quiet area. The beds comfy and place modern and central location perfect . Location was good and the team were friendly on check-in. Good location, close to stores, restaurants and camden market. 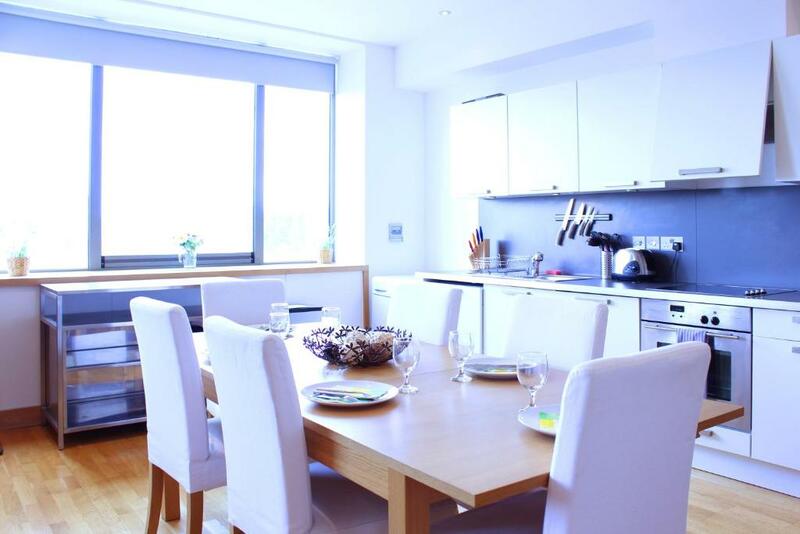 City Centre Apartments This rating is a reflection of how the property compares to the industry standard when it comes to price, facilities and services available. It's based on a self-evaluation by the property. Use this rating to help choose your stay! 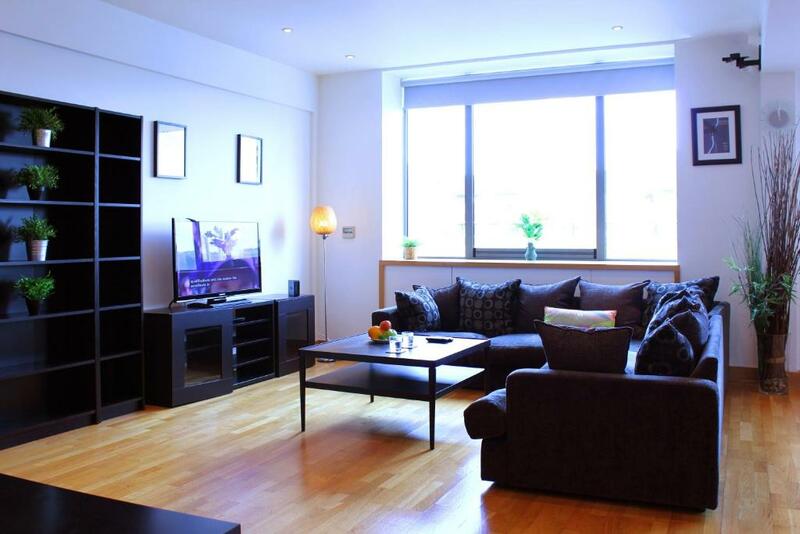 In the fashionable London district of Camden Town, City Centre Apartments are fully furnished and come with free Wi-Fi. Camden Town Underground Station is just over a quarter mile away and has direct services in to Central London which take 15 minutes. A full kitchen with cooking facilities and a washing machine are featured in each City Centre apartment. The separate lounge area has a sofa and a flat-screen TV with DVD player. Camden Market can be reached in a 5-minute walk and has a wide variety of shops and places to eat. Many music venues are in the local area, such as KOKO which is just under a 10-minute walk away. When would you like to stay at City Centre Apartments? A flat-screen LCD TV, full kitchen and a washing machine are featured in this apartment. Free Wi-Fi is also provided. Area Info – This neighborhood is a great choice for travelers interested in theater, shopping and sightseeing – Check location Good location – show map Guests loved walking around the neighborhood! 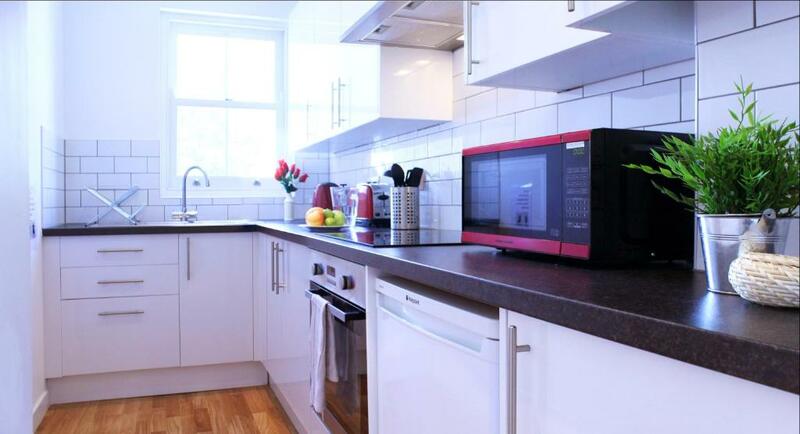 House Rules City Centre Apartments takes special requests – add in the next step! 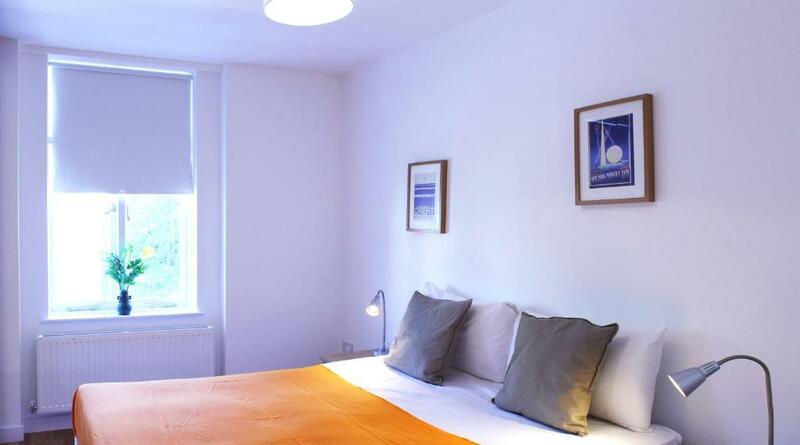 Up to two children under 6 years are charged GBP 20 per night when using existing beds. City Centre Apartments accepts these cards and reserves the right to temporarily hold an amount prior to arrival. A cleaning fee of GBP 40 must be paid in cash upon arrival. Please inform us in advance of your expected arrival time. You can use the Special Requests box when booking, or contact the property directly with the contact details provided in your confirmation. The apartment doesn't look like on the photos and the address is completely different. On the site you see the office address, then you need to walk like 15-20 min to the apartment. There was a problem with a boiler and we had to wait more than 4 hours for the maintenance guy to arrive. Booking was cancelled 3 times, Tom initially unhelpful over the phone then redeemed himself in person. Great spacious property great location . Although it stated that the property I was allocated could differ from the pictures on the website, this place looked like it had been decorated in the 80's rather than the lovely modern decor on the website. The blind in the bedroom was broken, there was no double duvet on the double bed (it was 2 singles - this was true throughout the property), the blind in the bathroom was broken, there was no grill-tray for the oven, the bedroom had a smell of stale cigarette smoke and although check-out was 10am, someone was trying to get into the property at 9:35 to clean it. Hot water would turn off after one minute in the shower, major problem in the winter. Paying a cleaning fee and finding one of the rooms very dirty. The tv had some static issues and some channels where unwatchable due to it. The oven was very confusing instructions would have been very helpful. The shower was also very slippery. One bedroom smelled of cigarette smoke. Refrigerator was broken and was never fixed during the four days we were there despite several calls to the ones we rented from. More coffee and tea. The coffee machine that was provided didn't work. It needs to be replaced. The size of the apartment was perfect. Plenty of room for the 5 of us. The location was okay also.